Sometimes the longer you attempt to define a style of music, the more it eludes you. And so it goes with Ellis, Michael & Muxlow . 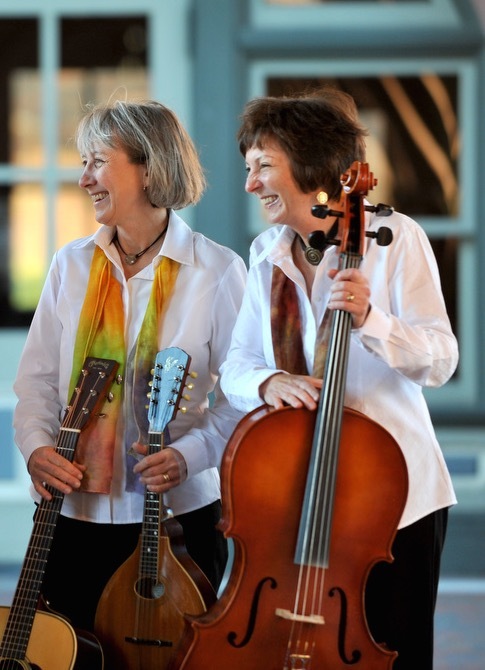 They are one of the best examples in Southern Michigan of the timeless magic created by a blend of tight harmonies, strings and wood. There is a comfortable groove among these three established by a long musical marriage. Their songwriting is fresh and straightforward. The trio dips from the waters of many genres and eras of song. An evening with EM&M will leave you remembering, smiling, thinking, and humming. They can be just as easily found singing songs of peace and social justice at rallies on courthouse steps as in concert venues. They believe in the power of song to inspire positive change in our world. Jonas Ridge is a Michigan-based Bluegrass Band that delivers a package of strong harmony vocals, five-star instrumentals, and guaranteed good fun. 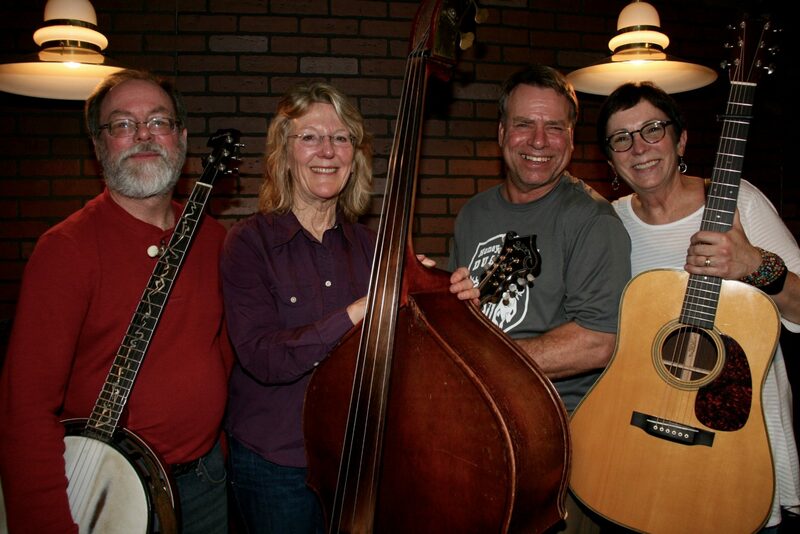 Jonas Ridge is Kevin Gaugier (Caledonia) on banjo, Bill VanLiere (Grand Rapids) on mandolin, Catherine Ellis (Kalamazoo) on guitar, and Christee McNeil (DeWitt) on upright bass. From house concerts to the festival scene, the band performs in a wide variety of venues. This group of seasoned performers pushes the boundaries of traditional bluegrass to include “newgrass” and swing music. They are all hopeless dog-lovers with a pack of eight large pups between them. Alma Muxlow began entertaining at age nine with her ventriloquist doll, Danny. 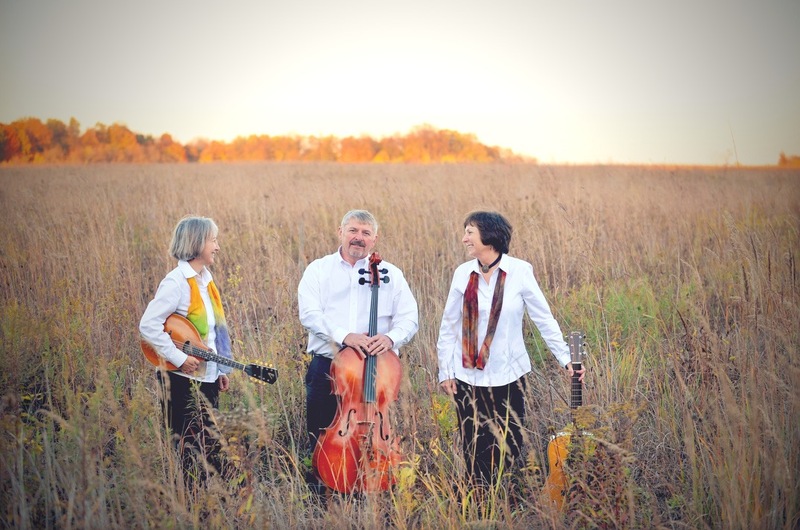 Upon Danny’s retirement, she found her own voice and has been using it ever since, most recently as part of the folk trio Ellis, Michael, & Muxlow. She has provided harmony vocals for Catherine’s music for the past fifteen years, live and recorded. She plays mandola, mandolin, percussion, and has recently expanded her instrumental prowess with the kazoo, frog and tricycle bell. Multi-instrumentalist Kevin Gaugier has toured nationally with well-established bands. 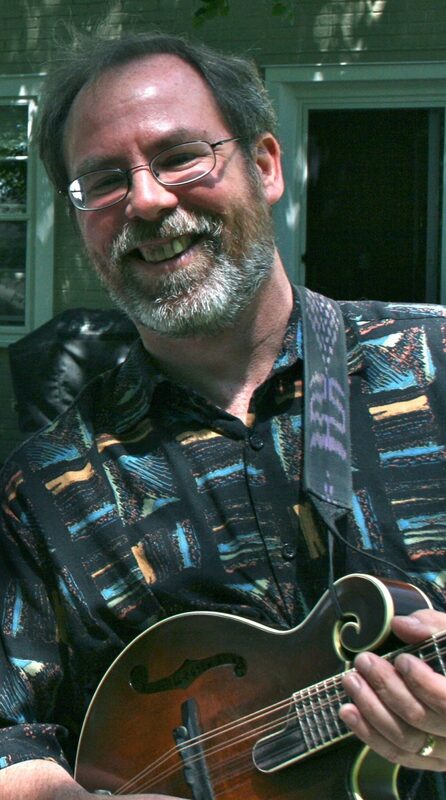 Kevin is a former member of Detour, a popular bluegrass band based in northern Michigan and Sweet Corn, a Kalamazoo musical tradition. He and Catherine began playing together in the early 1980s initially as the duo Ellis & Gaugier, followed by Acoustrio with bassist Bud Michael. By the 1990’s they teamed with Pooh Stevenson and Tim Scheerhorn to form Counterpoint. Kevin’s guitar work is broadcast weekly in the theme song of WMUK radio’s program “Grass Roots”.